WrestleMania 35 will be held on April 7, 2019, at MetLife Stadium in East Rutherford, New Jersey. WrestleMania is considered the Super Bowl of sports entertainment. 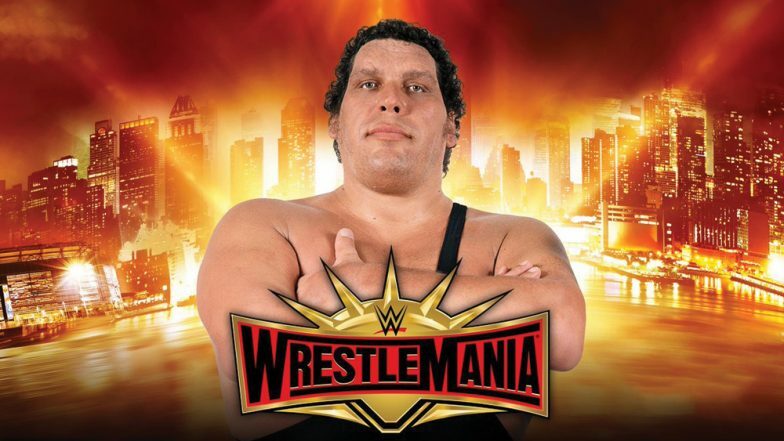 WrestleMania features Battle Royal match in honour of WWE Hall of Famer Andre the Giant. Ahead of WrestleMania 35, WWE has declared participants for Andre The Giant Memorial Battle Royal. The Road to WrestleMania 35 Begins: Watch Video of Previous Year WWE’s Mega Event in 60 Secs. Andre The Giant was a famous French professional wrestler. He died on January 27, 1993, at Paris, France. The Giant wrestler was over 7 feet tall and weighed 500 pounds. His feud with Hulk Hogan at WrestleMania 3 will always be remembered. Andre The Giant Memorial Battle Royal will happen sixth time in a row at WrestleMania. WWE WrestleMania 35, 2019: Date, Location, Match Card and Predictions. All participants are gathered in the squared circle at the same time in The Andre the Giant Memorial Battle Royal. Competitors are eliminated once they are thrown over the top rope and both feet touch the floor. The last man who stays in the remains in the ring wins the match and get awarded with Andre the Giant memorial trophy. This match started at WrestleMania 30, and it was established by Hulk Hogan on Mar 10, 2014 episode of Raw. This year Andre The Giant battle royal match will also feature famous American comedian Colin Jost and Michael Che of Saturday Night Live (SNL). Click here to know the list of participants for this famous battle royal match. This year WrestleMania promises to be one of the best in recent years, especially when fans are looking forward to the hyped match of Ronda Rousey defending her Women's Championship against Becky Lynch and Charlotte Flair in a triple threat match.